inniAccounts can automatically keep track of repeating payments – for example phone or broadband bills, loan repayments, insurance premiums, bank interest or even oboe lessons (assuming you’re a professional oboist). You’ll get a reminder on your homepage when the bill is due and you’ll also find the accuracy of the ‘available cash’ report improves as inniAccounts is better able to forecast upcoming payments. You’ll find the feature by clicking on ‘Money Manager’ on your company’s Admin page. Here’s a neat trick: you can also budget monthly for large payments – for example, a pension payment due at the end of the financial year or even to save for a new laptop. Just enter your payment details and due date and check the ‘Auto Budget’ checkbox. You’ll now see your new payment budgeted for in the ‘What I Owe’ area of your LiveCash reports. Easy! 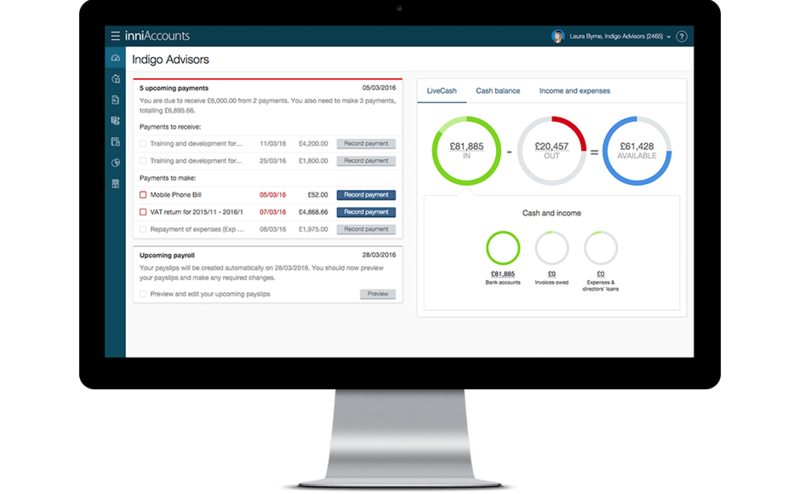 Find out more about Setting up regular payments using money manager in the Knowledge Hub.